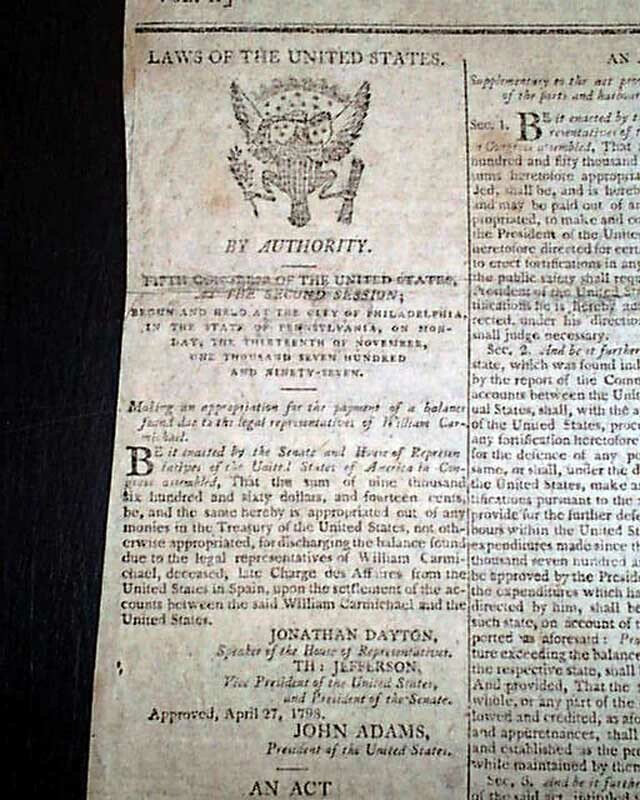 The United States Navy can trace its history back to 1775 when the Continental Congress passed a resolution creating the Continental Navy. 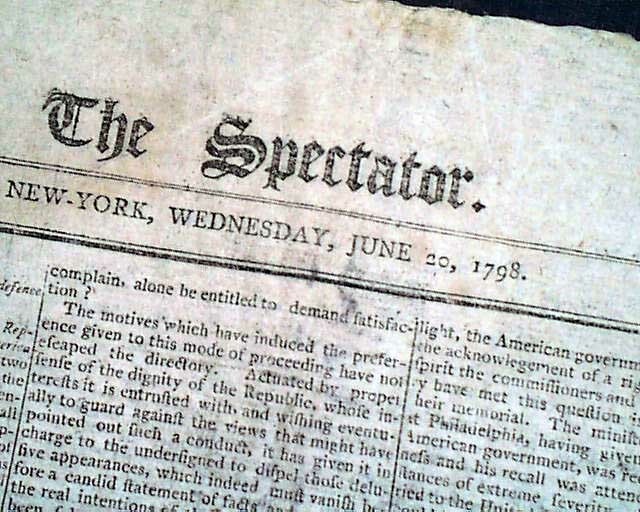 Soon after the end of the Revolutionary War the ships were sold & the Continental Navy was disbanded. 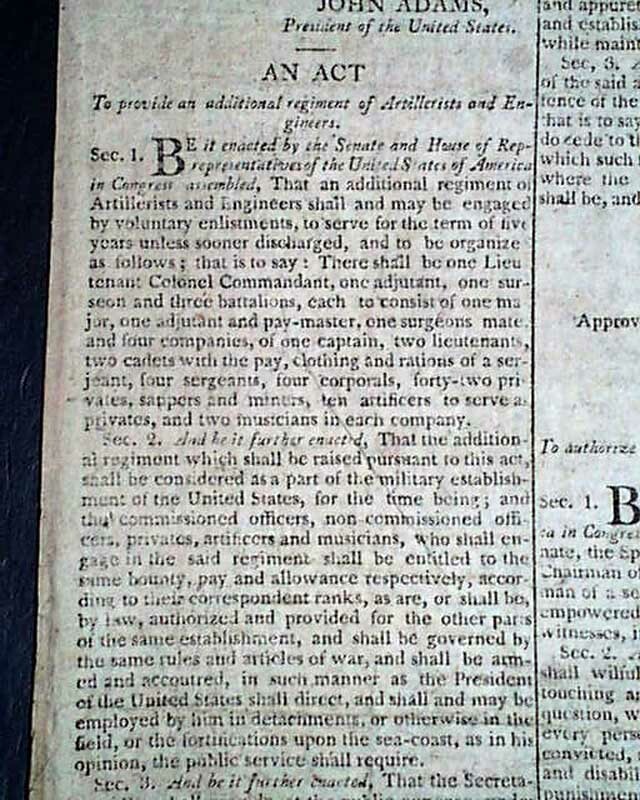 Later when trouble erupted with pirates Congress created the "Naval Act of 1794" which resulted in the first six frigates (only 3 initially authorized to be completed). 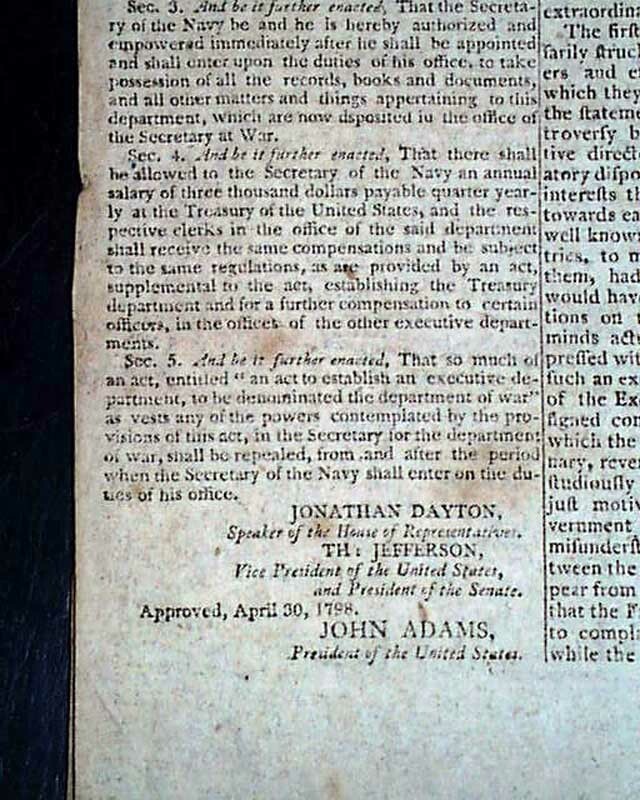 With troubles brewing with England & France & the "Quasi-War", concerns about the War Department's ability to manage a navy led to the creation of the Department of the Navy, which happened on April 30, 1798. 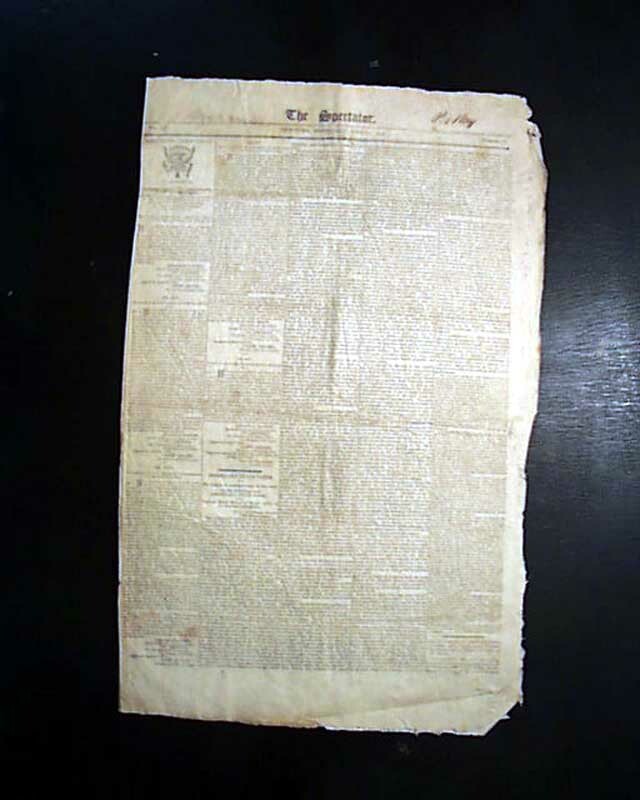 This newspaper contains on the front page the full printing of that Act which created the Navy Department, titled: "An Act to establish an Executive Department to be Denominated the Department of the Navy", and contains all five sections. 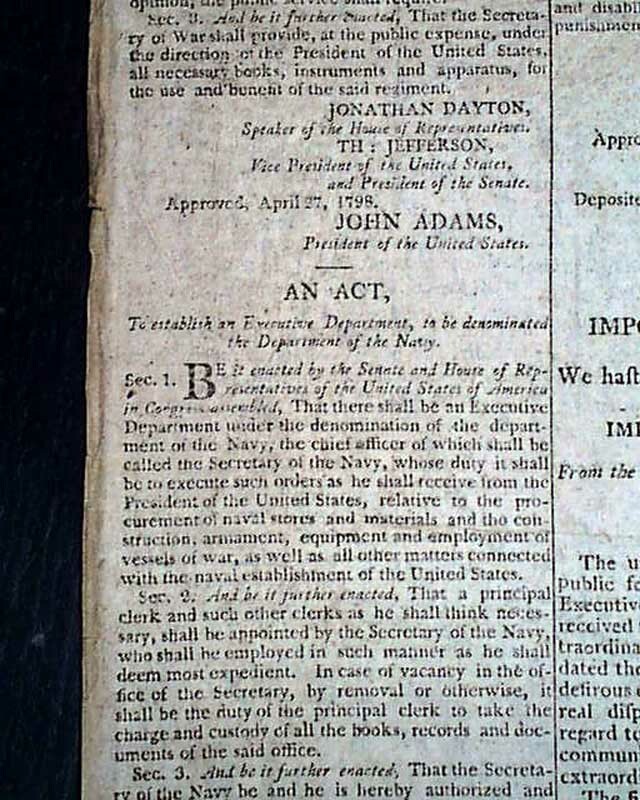 It is signed in script type by the President: John Adams, and in block type by the Vice President: Thomas Jefferson (see). 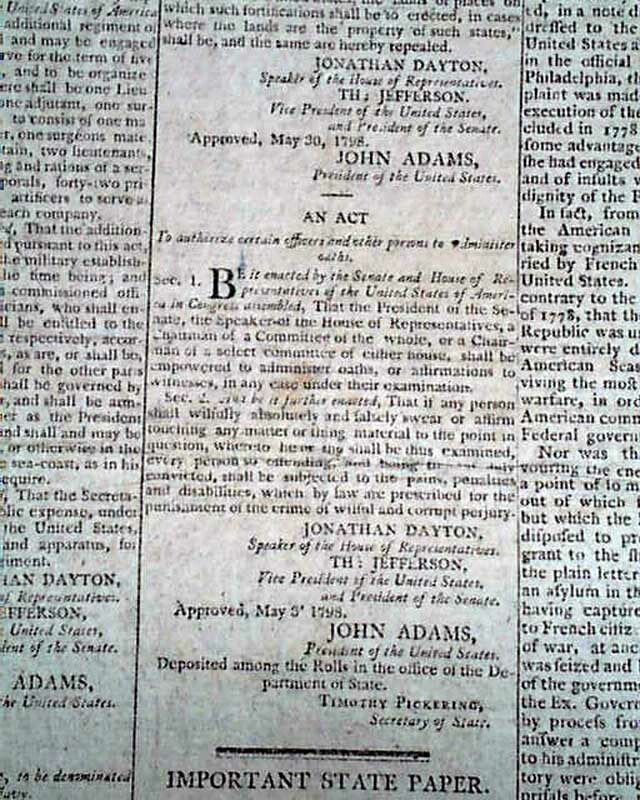 Although of much less consequence there are four other Acts of Congress on the front page as well. Complete in four pages, never bound nor trimmed, nice condition.